Have you tried producing 360 video? Want to discover how to create immersive, sharable 360 video? To explore how marketers can use 360 video, I interview Ryan Anderson Bell. In this episode, I interview Ryan Anderson Bell of VRScout, a firm that connects Hollywood to the world of virtual reality. Bell is also the director of the Help Erase Project, a 360 video documentary designed to raise awareness of child trafficking. 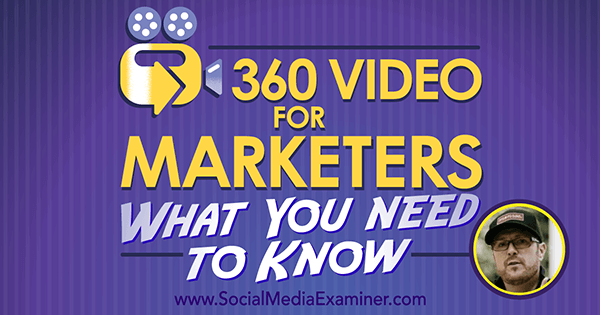 You’ll discover what you need to know to get started with 360 video. Ryan explores tools for creating 360 video. 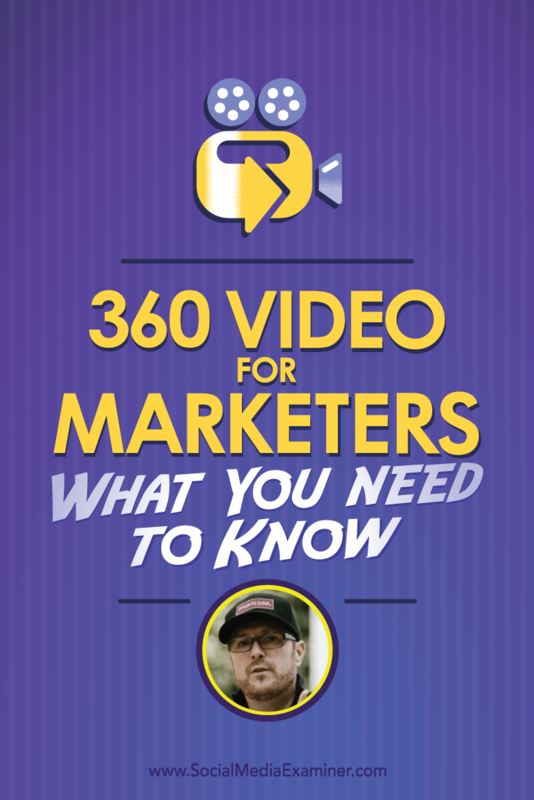 Listen as Ryan Anderson Bell shares what marketers need to know about 360 video and how to get started. Ryan recalls that his interest in 360 video is a product of his experience with Google’s Tilt Brush, which he tried for the first time after a speech on the changing landscape of technology at the Consumer Electronics Show. He had approached Malia Probst at VRScout and said he wanted to be more involved in this technology. From there, Ryan went from playing with the big ball of GoPros to more finished, all-inclusive products, like the Samsung Gear 360’s two 4K cameras. He’s now a 360 filmmaker, trying to define how to tell a story and convey a message through the medium (whether that’s from a personal or brand perspective). Listen to the show to hear our memories of virtual reality in the 1990s. Ryan explains that being an early adopter of 360 video means you’re going to understand the language before the public does. Marketers can use that language to connect with intimacy and empathy. Your brand can have an impact on the masses in a way that’s not been done before, because in a 360 video, the experience you provide in your message is more real to the viewer. You can share scale and scope with a canvas that’s so big, it takes over everything. Listen to the show to learn my perspective on the benefits of 360 video for marketers. When asked for real-world examples of uses for 360 video, Ryan points to HBO’s showcase of Westworld at TechCrunch Disrupt this year, and TOMS Shoes’ Virtual Giving Trip last year. Both used 360 video to immerse the viewer in an experience. Ryan agrees that restaurants can show what the kitchen atmosphere is like during prime time, and events or conferences can share all kinds of experiences in 360. He goes on to share that real estate agents can even use a 360 real estate app from Zillow to showcase properties for sale or rent. Causes such as ERASE Child Trafficking documentary can also take advantage of 360 video to share different narratives from the perspectives of characters in the film. Listen to the show to hear more about Ryan’s documentary. While there are some small places like Zeality or Oculus where you can publish 360 video, Ryan says the best platforms for marketers are likely YouTube and Facebook. It all boils down to where you’ll get the most views. He shares that Facebook even has a new Heatmap tool to help 360 video storytellers move viewers through their stories. Listen to the show to discover what this concept reminds me of at Disneyland and why. 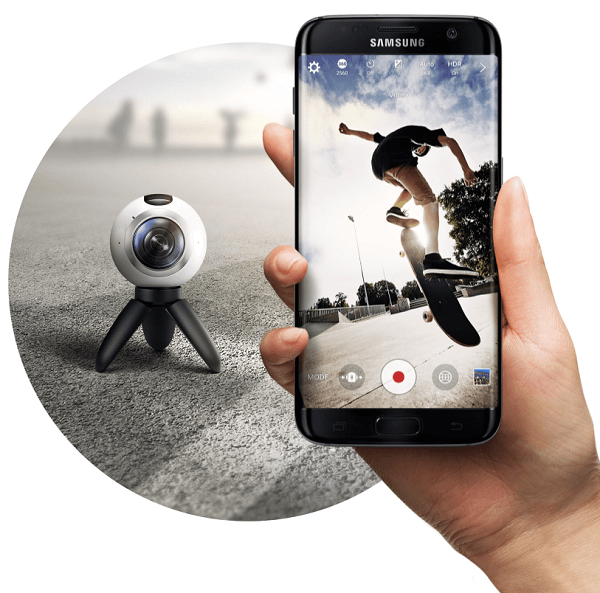 When it comes to equipment, Ryan likes the Samsung Gear 360 video camera because it’s basically two 4K cameras with fisheye lenses for $350. This one piece of machinery automatically stitches everything together, so you don’t need to do any post-production. Simply take your pictures or video and the camera shares your media easily. Ryan recommends the Samsung Gear 360. Nikon recently announced that the $499 KeyMission 360 camera would be available October 2016. The Vuze camera, also coming soon, has four sides, each with two cameras, for a total of eight cameras. The camera offers great depth because it looks at the world like it has two eyes. 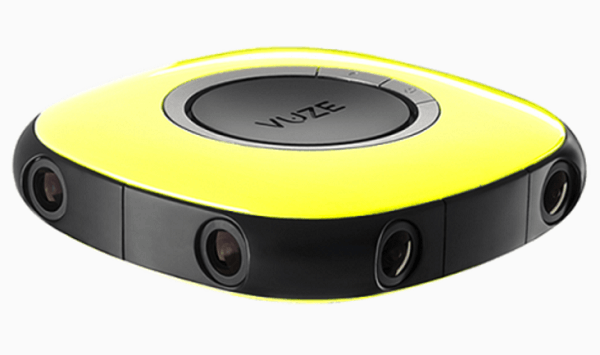 The Vuze 360 camera is stereoscopic and gives a view of the world through two eyes. When setting up your gear, Ryan explains you’ll need to use a monopod, which is basically a stick with a tiny tripod at the bottom, so nothing is visible underneath you. He likes Smatree, which costs about $20 and has a telescoping length of 20 to 50 inches. 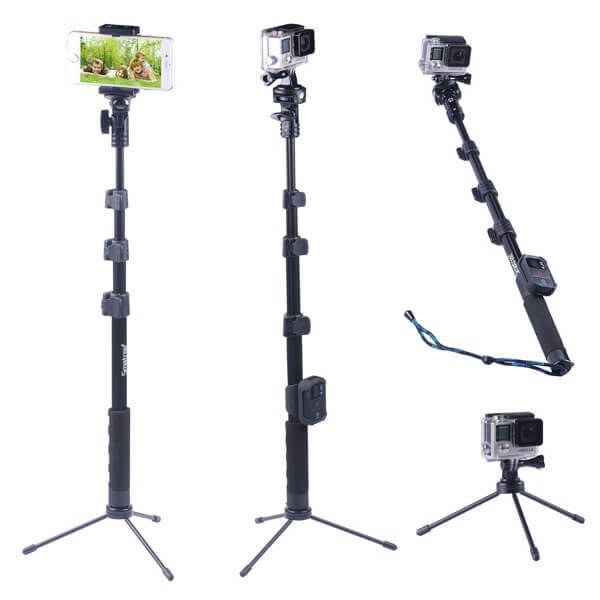 Mount your camera on a monopod so nothing is visible underneath. With regard to sound, you can use an iPhone to record voices for your video and pair them together in post-production. Alternatively, Ryan has seen the CEO of the ALLie Camera use Rode mics. There’s also Two Big Ears, a platform for mixing immersive audio for 360. Listen to the show to discover what Ryan looks for when he watches others’ 360 videos. Ryan discusses the difficulties that surround location and obtaining permissions from people who will end up in your film. Regardless of where and when you film, you need to make some sort of public notification, just in case. Lighting can be problematic because some cameras are better than others at low light levels. One option to optimize your lighting is to use Lume Cubes, but Ryan stresses it’s better to plan for proper camera positioning and make sure you’re filming at the right time of day or night. He also notes that because you basically have two cameras, you need to remember not to place one directly facing the sun. With cameras less than $500, there’s not much post-production to worry about. A bonus with these cameras is that you’ll be able to see what’s going on live before you hit record. With most 360 cameras, you can see what you’re recording through your phone. If you want more professional videos, there are people who edit footage from high-end cameras at a cost of about $500/day. Alternatively, companies such as Radiant Images rent out cameras and include the cost of stitching in the price. For example, you rent a $60,000 camera for $3,000 for a full day of shooting and the company will stitch all the video together to make one good product. Listen to the show to hear more about why Ryan loves 360 so much and how you should proceed if you have an interest in it. 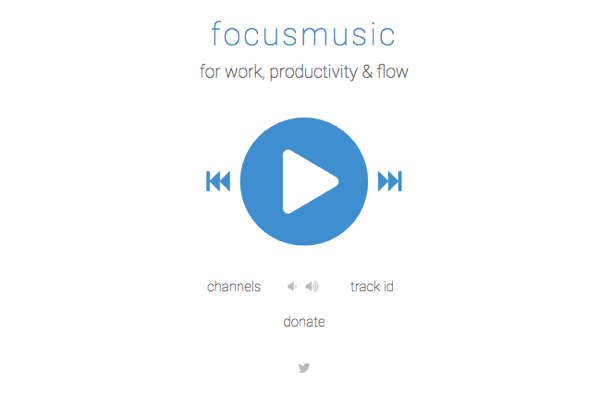 Similar to Focus@Will, FocusMusic.fm is a cool music tool that helps you get more work done and focus when you’re busy. In line with the principle that playing regular lyrical music distracts rather than helps focus the mind, FocusMusic.fm has electronic dance music, downtempo, classical, and a channel called Rain. The beats of the music keep you in sync and move you forward through your work at a tempo. Listen to the show to learn more and let us know how FocusMusic.fm works for you. Learn more about Ryan on his website and check out VRScout. Follow @Ryan_A_Bell and @VRScout on Twitter. Connect with Ryan on Facebook. Learn more about Ryan’s ERASE Child Trafficking documentary. Take a look at the GoPro and 4K cameras. Read about HBO’s Westworld showcase at TechCrunch Disrupt and TOMS Shoes’ Virtual Giving Trip. Explore Zillow’s 360 real estate app. Check out Zeality and Oculus for publishing 360 video. Learn about Facebook’s Heatmap tool. 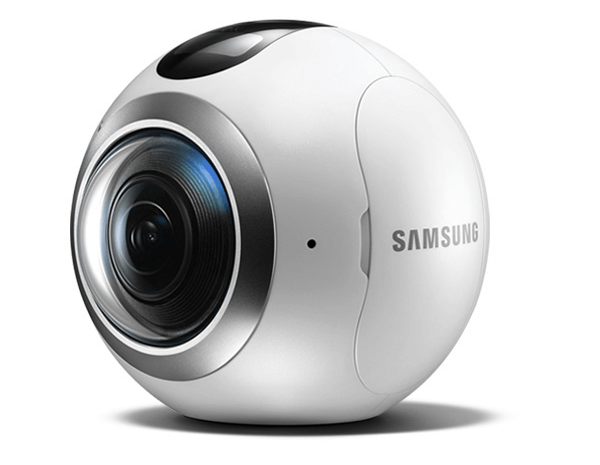 Take a look at the Samsung Gear 360, Nikon’s KeyMission 360 camera, and the Vuze camera. Check out ALLie Camera, Rode microphones, Two Big Ears, and the Smatree monopod. Check out FocusMusic.fm and Focus@Will. What do you think? What are your thoughts on 360 video? Please leave your comments below. 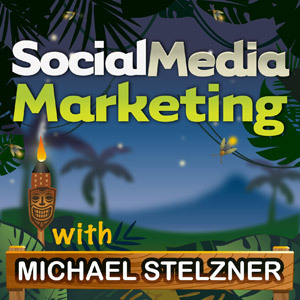 Ryan Anderson Bell talks with Michael Stelzner about 360 video for marketers and what you need to know.